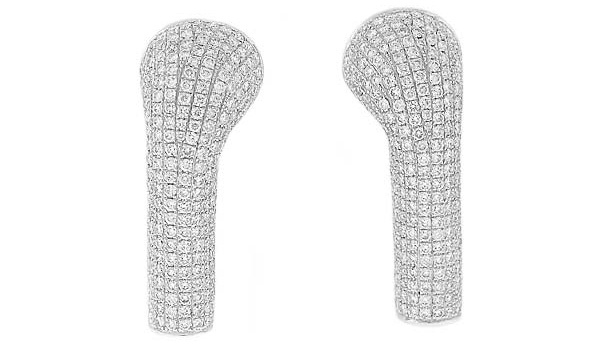 With $3500, you can yourself or your chick a 14K white gold diamond earphone for your iPhone/iPod. Hey man, save it for the new iPhone, but if you are loaded then I’m speechless. More pictures after the break.